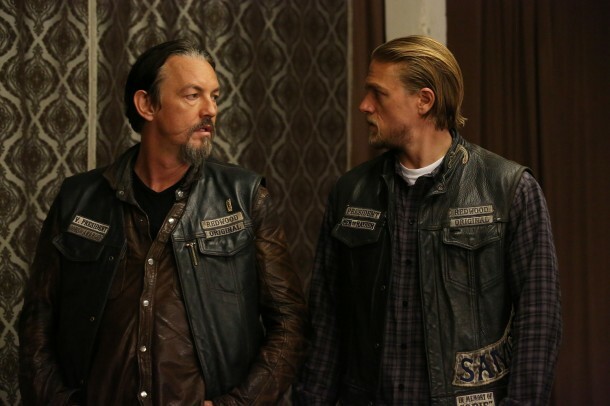 Tonight’s episode of Sons of Anarchy is one that you are not going to want to miss. It’s a meaty one. I don’t know about you but when packages get delivered to my door I now shudder. 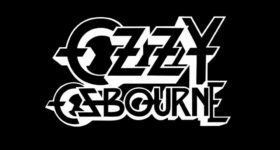 Bobby (Mark Boone Junior) is only a few weeks shy from appearing in a vintage Metallica video. They need to bring Bobby home stat. It’s heartbreaking to watch those boxes arrive. David Fisher’s (Michael C. Hall) boyfriend from Six Feet Under is a prick. He deserves to meet up with Dexter. Of course, that means that Mathew St. Patrick is doing a phenomenal job playing Moses Cartwright. “What a Piece of Work Is Man” – The club deals with heartache internally and conflict with the organization at large. 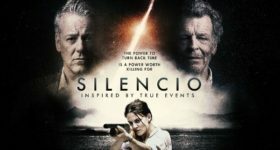 Written by Mike Daniels, Robert Patino, and Kurt Sutter; directed by Peter Weller. Last week Jax (Charlie Hunnam) realized that he underestimated August Marks (Billy Brown). 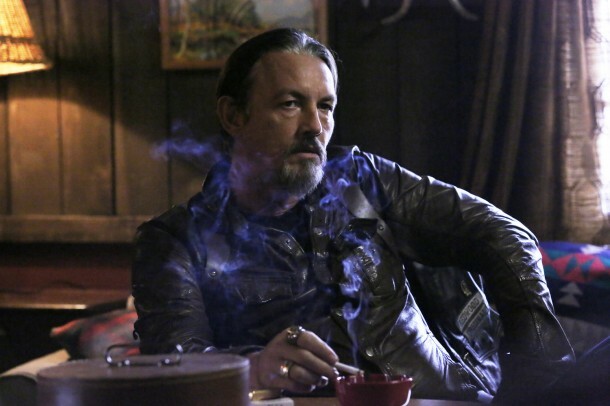 Chibs (Tommy Flanagan) reminded him that they have a mission and they need their leader. Harsh words from Jury White (Michael Shamus Wiles) led to a situation getting way out of hand. The positive thing was that we got to hear Chibs say “complicated situation.” Also, it was nice to see Don Swayze and Dale Dickey. Gemma (Katey Sagal) may have met her most formidable opponent to date—Abel. Didn’t you get goose bumps when she asked him if he understood what an accident was and he looked at her and said, “Do you?” That was brilliant. How much longer before she breaks? Tonight, Jax wants to be trusted but that doesn’t always work out in his favor. 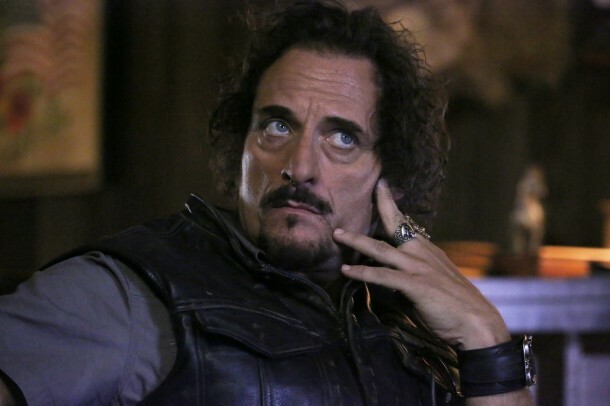 Thank goodness for Tig (Kim Coates). Tig always manages to make the darkness seem brighter. He has a great scene with Happy (David Labrava). Gemma actually has some wise words for Rat (Niko Nicotera). Nero (Jimmy Smits) has one of the best lines tonight. Do you think that he’s going to make it out alive? Will he really be allowed to move away or will he be visiting another kind of farm? I just can’t see him leaving. It’s too good to be true. 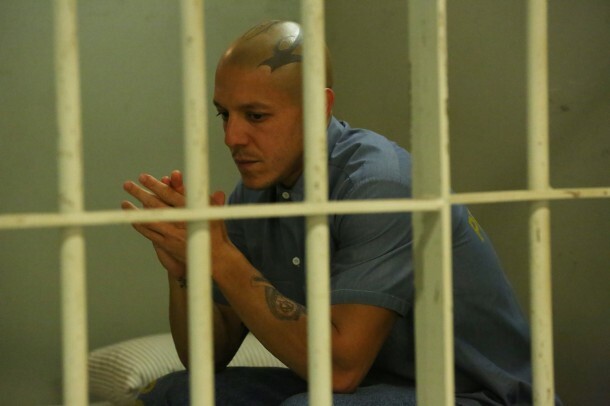 Juice (Theo Rossi) really shines in tonight’s uncomfortable episode. I bet he’s sorry that he’s missing something that we all take for granted. How do you think his story is going to end? Chucky (Michael Ornstein) is left with a very tall order. Good luck to him. There hasn’t been enough Chucky this season. He needs to start cooking again. Remember all the fun times that were had by all? The party is officially over and the hurt and decay is all that remains. When Sheriff Althea Jarry (Annabeth Gish) stops by to see Wayne Unser (Dayton Callie) you get to take a peek at what’s in his fridge. Whatever it is it’s working because he’s still alive. Unser is probably going to be the one to solve Tara’s murder. He’s not stupid he’s just not putting the correct pieces together. I love Jarry. She knows what she’s doing and I can’t argue with her taste in men. She is strong and exactly what Charming needs. She doesn’t take kindly to mistakes. Annabeth is a true talent. Tonight’s episode hits all the right marks. Jax’s response to an observation tells a deeper story, “I don’t think that’s true.” You really don’t want to miss it.